Gholam Hassanpour is a global campaigner and was once an unaccompanied minor on the move. 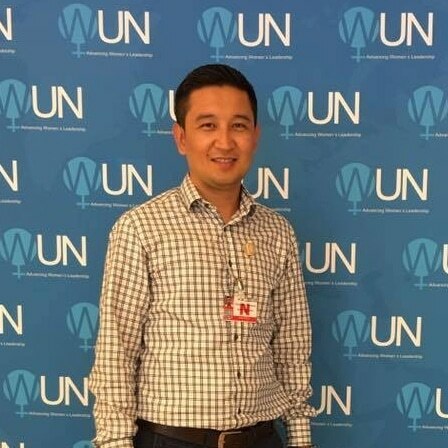 Gholam has been a Youth Ambassador with the Global Campaign to End Child Detention since 2012. In June 2017, Gholam went to the United Nations Human Rights Council to tell his story and shine a light on the fate of refugee and migrant children undertaking perilous journeys on their own. Gholam has gone on to share his story at several events coordinated by International Organisations. Where do you currently live? (city/town or country) Athens / Greece Why does the campaign matter to you? Because it helps unaccompanied children from being detained and I have been in their position. I also want to raise awareness of the fact that these children are detained in miserable conditions for the so-called “crime” of migration. How long have you been involved with the Global Campaign to End Child Detention? 6 years How have you been involved in the Global Campaign to End Child Detention? I worked as an interpreter in the Greek Council for the Refugees in 2012, so I represented unaccompanied minors of Greece by taking part in the HEAR OUR VOICES event in Geneva to share my story about my detention in Greece. After being invited by the IDC, I continued my cooperation with them up until now. Are you involved in other advocacy, campaigning or community activities? Through my work and as a member of the afghan community in Greece I have been actively involved with the refugee issues. What are your hobbies, or how do you like to spend your free time? I like playing football, I also help refugees with the Greek language. Do you currently work or study? If so, what’s your job or what do you study, or what did you study? Now, I just work, I am an interpreter. I finished the specialty of Mechanotronic in a public vocational institute. What do you want to see the campaign accomplish? What is the solution to end child detention? To end child detention centres.